Across the United Kingdom, there are more than 5.6 million small businesses, accounting for 99.3% of the country’s private sector. Last year, SMEs turned over an eye-watering £2 trillion – that’s 52% of all private sector turnover – demonstrating just how valuable they are to the economy. As more entrepreneurs choose to establish businesses, the idea of quitting a job and your mundane 9-5 lifestyle can prove very tempting – but there are things to consider. One of the biggest barriers to entry for setting up a new business is money. 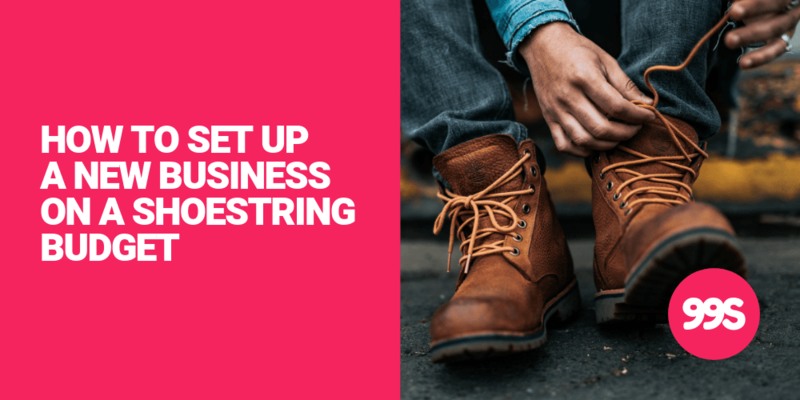 According to The Telegraph, the average startup spends more than £20,000 in its first year of trading, money that covers everything from marketing, the cost of premises, hiring staff, and the day-to-day running of the business. The chances are you don’t have £20,000 sitting in your back pocket. The good news, though, is that you can set up a business on a shoestring budget, and make a success of your venture virtually overnight. Below, we’ve put together some of the ways in which you can save money and increase your profit margins when you’re just starting out. It sounds obvious, but it’s something so many business owners seem to ignore when they start a business: you’ll only enjoy working for yourself if you choose to enter an industry you have experience in. The more you know about your trade, the easier it’ll be to make money and find new customers, and the less likely you’ll be to overspend on marketing or training. Entering into a new venture blindly can be dangerous. Take a step back and make sure you have a good understanding of your niche, some business contacts to back up your idea, and a real passion for the job. If you’re simply going into business to make money, you’ll struggle. The average website costs more than £1,000, but the truth is that you can set up your own site with a domain name (that’s yourbusiness.com, for example) for less than £50. Use a site builder like Squarespace or WordPress and take advantage of the professionally-designed templates and themes that are on offer. You can create your own logo on Photoshop in a few minutes, and with a couple of hours to add some text and images, you’ll have a decent site. 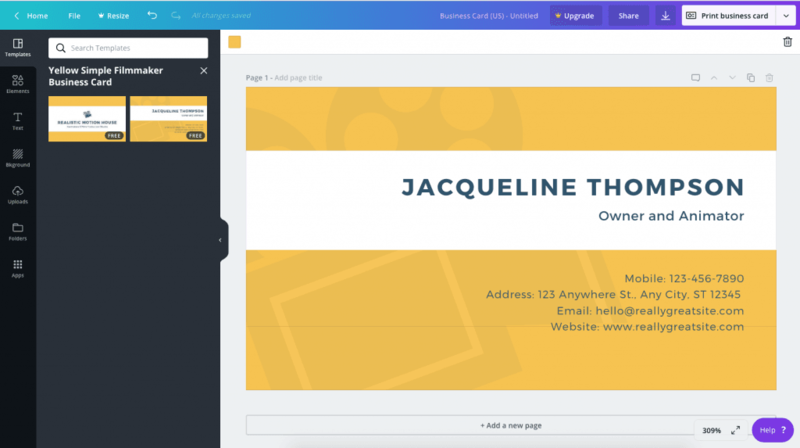 The same goes for the rest of your digital marketing materials – today, there are so many free resources available, like Canva.com, which makes graphic design simple. Don’t pay over the odds for basic things like business cards and leaflets – do it on your own and save money. You can create a business card in minutes on a site such as Canva. Whilst it’s good to be able to have your finger in every pie and do the majority of the work on your own, you should also weigh up the opportunity costs and decide when to outsource the boring stuff. Accounting, for example, is one of the biggest time-sucking tasks entrepreneurs have to face, and paying an experienced accountant will not only save time but ensure that your tax returns are done correctly, reducing the chances of errors or late payment fees. The same can be said for some marketing tasks, like social media. If you’re not a dab hand at Twitter and Facebook, then paying a company who offers social media management is a sensible idea, as you’ll be able to grow your platforms and find new customers, without having to slave over scheduling tools when you’re in the early days of your new business. It can be tempting to spend hundreds of pounds paying for newspaper and digital advertising or even hosting an event to spread the word about your business, but these are unnecessary expenses in the early days of your new business. Rely on friends and family to let people know about your new business, and encourage customers to leave reviews and testimonials. The sooner you build up a reputation for your business, the easier it’ll be to find customers, so consider offering discounted products and services to entice customers, and incentivise them to leave a review on Google or TripAdvisor by entering them into a prize draw. Networking is one of the single most important things you can do when starting a new business, so put on your glad rags and attend every networking meeting, exhibition and event in your local and regional area to put your name and business on the map. You might have to step outside of your comfort zone, but you’ll quickly get there with some support, and your confidence will grow as you talk to and sell to more people. It’s a necessary evil when you are self-employed – so get to grips with speaking to strangers and selling yourself. Finally, make sure you keep a track of your progress and set goals and objectives to ensure you remain on the right track. It can be easy to fall off the wagon or steer your business in the wrong direction, so putting everything down on paper and reviewing your progress once a month will aid in your growth and development. The best part is, it doesn’t cost a penny! There are lots of ways to save money when starting a business and launch a successful new venture on a shoestring, but you should also know when not to cut corners. Whatever you’re planning, we wish you the very best of luck with your business and encourage you to check back regularly to our blog for tips and tricks on promoting your products to the right people.